Ah, the tofu quiche, a vegan brunch classic! 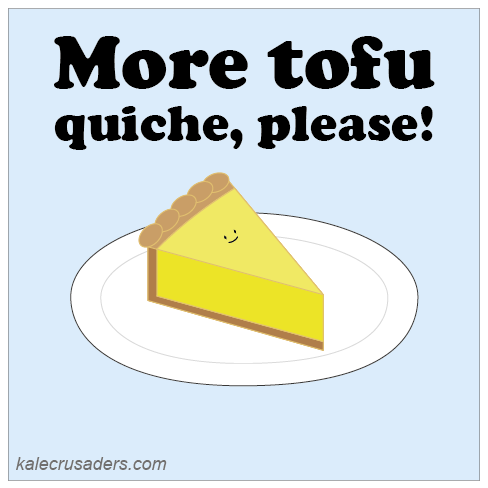 With savory spices and custard-like filling, tofu quiche is crowd-pleaser, for sure. Like its traditional counterpart, tofu quiche is great container for creative fillings and/or the random edible items remaining at the bottom of your crisper drawer. For more inspiration, check out this Vegan Quiche by Chris at The Vegan Zombie.